Manufactured in Etats-Unis from 1911 until 1914. 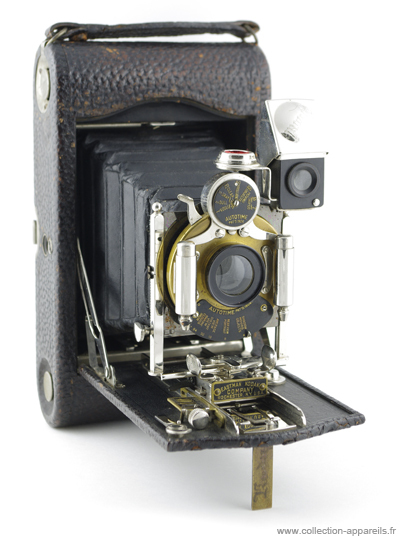 On this version of the model G, the origin of the Bausch & Lomb shutter is increasingly difficult to discern because the plates indicating the speeds and apertures are those of the Autotime system intended to simplify the use for photographers not very keen on technology. The shutter model is an Automatic and allows a pneumatic release or by direct pressure on a lever. A second piston serves as an air brake to control the speed.